Need a good set of outdoor play furniture for your kids? 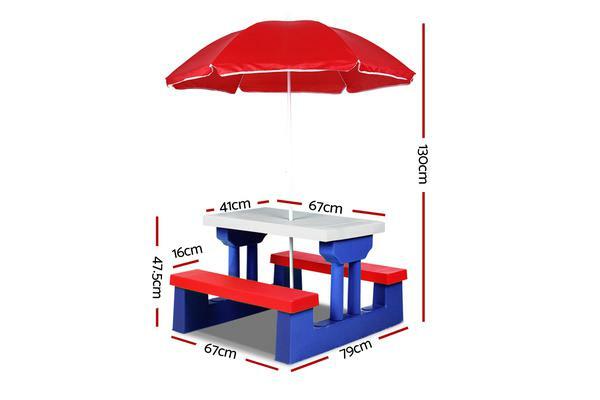 Well, our Keezi Outdoor Table Set is just what you need for your young ones. 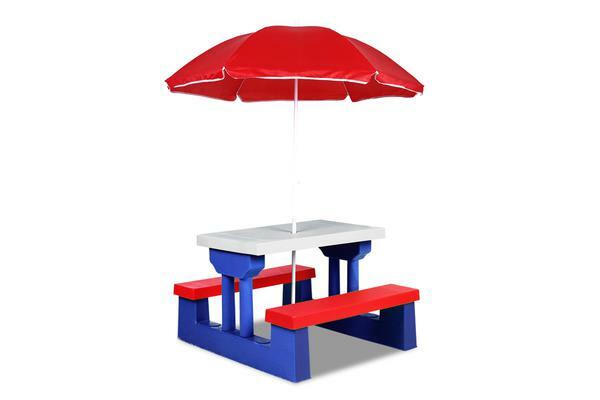 Made from HDPE plastic, the Set is designed to be durable and easy to maintain. Each bench can each carry up to 50kg maximum. 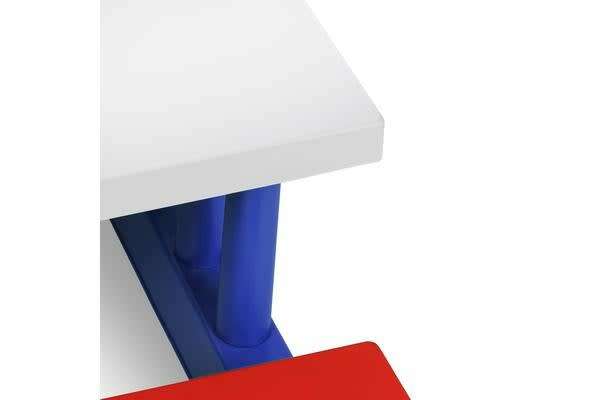 Naturally, everything about the Set is designed child-safe to EN71 European Safety of Toys standards. Round and smooth edges. Upgraded protected rubber corners. No toxic paint finishes. And a very eco-friendly ensemble. And with its bright primary hues, the set is an instant draw for any enthused child with an eye for brilliant fun. Better still, the ensemble comes with a foldable and height-adjustable umbrella to keep harmful UV rays at bay while the kids are at play.